For the Academic Year 2019-20, applications opened on 16 October 2018 and will close on 19 March 2019, 11.59pm Singapore Time. At SMU, we are committed to holistic admissions, where we look for students who have not only been successful academically but who also possess qualities that we value. Applicants are selected on the basis of their strong academic and co-curricular records as well as evidence of qualities such as critical thinking, communication skills and aptitude/positive attitude. Please click here for more information on admissions requirements. What are the important dates that I should take note of? Please click here for information on the important dates that you should take note of. Where can I view a sample of the online application form? Please click here for a sample of the online application form. I have submitted an online application for admission. I would like to cancel my application. How do I go about doing this? Please email us at admissions@smu.edu.sg on your decision to cancel or withdraw your application. Kindly indicate your full name and application number in your email. My application was unsuccessful in last year's admission exercise. Will I be penalised in any way if I apply again this year with the same results? You will not be penalised. We will treat it as a fresh application each time you apply. You compete with a new pool of applicants in each admission exercise. Can I print the online application form from the website and submit it by hand/post? Applications must be submitted online. There are no hardcopy or downloadable application forms. Applications submitted from forms that are downloaded and printed from the website will not be accepted. What are the supporting documents which I need to submit? Click the links below for information on the typical supporting documents to be submitted. How do I submit the supporting documents? Please do not submit original transcripts/ certificates. Can I apply with diploma qualifications awarded by a foreign or private institution? For the purpose of admission to SMU's undergraduate degree programmes, diplomas awarded by foreign or private institutions will be considered on a case-by-case basis. My qualification does not fall within the recognised international high school qualifications. Can I still apply? Yes, you may still apply under the 'International/Other qualifications' category. How many degree programmes can I select in the online application? You may select up to 5 degree programmes, in order of preference. Will my chances of gaining admission into my second, third, fourth and fifth choice be lower if I am not selected for my first choice? We will consider an applicant's choices in the order of his/her preference. If you are not successful in your first choice, you will still be considered for your other choices in competition with other eligible applicants and subject to the number of places available. For those interested in law, you must indicate law as your first choice in your application. What happens if my interview at SMU clashes with another commitment? Interviews play an important role in the admissions process and as such, it is in your interest to attend the interview as scheduled. There is a very tight schedule for these interviews. Law interviews for shortlisted candidates are conducted in end Mar/April. Click here for more information on law interviews and writing tests. Will all applicants get a chance to be interviewed for admission? Only shortlisted applicants will be interviewed. I have already graduated with a Bachelor's degree. Can I apply for a second degree? Yes, you may. However, as the number of places for undergraduate degrees is very limited, priority for admission will be given to those without a first degree. You may wish to consider pursuing postgraduate degree programmes. Can I apply for admission now and defer my studies for one year? Currently, full-time National Servicemen or regulars in the SAF or Singapore Police Force are allowed deferment of studies due to military obligations. 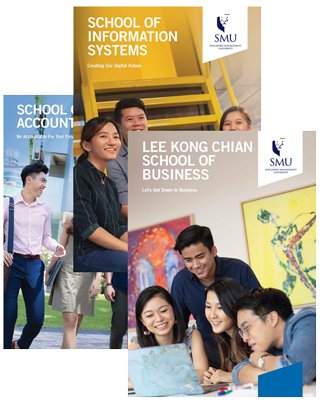 If your application for admission is successful and you wish to request for deferment for another reason, please email us at admissions@smu.edu.sg for consideration. Does SMU practice discretionary admissions? SMU recognises the value of a diverse student body and we take into account the broad range of contributions that applicants can bring to the student community in our selection of our students. Under the Discretionary Admissions (DA) framework, SMU will consider applicants who may not have met the cut-off academic grade but have other outstanding achievements and attributes that SMU values, and whom SMU assesses to have the ability to successfully complete an undergraduate degree. These attributes supplement and complement the core qualities (beyond academic abilities) that SMU looks for in all students admitted to the university: critical thinking abilities, communication skills, and attitude (e.g. motivation, perseverance, determination, curiosity). Up to 15% of places are set aside each year for applicants admitted under Discretionary Admissions. How do I apply for a discretionary admission? Applicants who wish to be considered under the Discretionary Admissions scheme are to provide details in the Achievements section of the online application form for admission, and submit copies of supporting documents, where available, to attest to these achievements. You can check the status of your application online at Applicant's Self Service. You must have a User ID and Password that are both available at the time of making an online application for admission. I have forgotten my User ID and Password. Where can I retrieve the information? You may retrieve your User ID and Password by logging on Applicant's Self Service and double-click Forgot User ID and Password on the left hand column. How do I know if my application fee payment and supporting documents have been received? You can check if your application fee payment and supporting documents have been received by logon at Applicant's Self Service. Can I make amendment to my application form after submission online? You can update your personal particulars (mailing address, telephone contact, mobile contact and email address) by logon to Applicant's Self Service. For other matters, please email to admissions@smu.edu.sg for assistance. When will applicants be notified for interviews? When will applicants be informed of their application outcome? Only shortlisted applicants will be called up for interviews. Please click here for more information on the important dates relating to admissions. Can students from the A-Level Science / Arts stream and non-business Polytechnic diplomas apply for admission? Yes, you are welcome to apply for admission. Can I combine my A-Level results from different sittings for the purpose of application for admission? I wish to retake my A-Levels. Do I have to take all my H2 and H1 subjects again? SMU will consider your grades for three H2 content-based subjects and General Paper (GP) / Knowledge and Inquiry (KI) taken at the same sitting of the A-level examination. The H1 content-based subject and H1 Project Work (PW) subject can be of a different sitting. If you wish to retake your A-Level exams, you will need to take all H2 content-based subjects and GP/KI again in one sitting. As for the H1 content-based subject and H1 PW, you can choose not to retake and use the grades attained at the earlier sitting of the A-level examination. However, if you decide to retake one or all of the H1 content-based subjects and H1 PW subject, the best H1 content-based subject and H1 PW grade will be taken into consideration. Can I gain admission if I fail the General Paper? If you did not pass your GP, you can still apply. We will take into consideration your performance in the other A-Level subjects on a competitive and selective basis. Can I use my GCE A level results which were based on the “old A-Level syllabus” to apply for admission? Yes. You can apply for admission with results taken under the old syllabus. I am a private candidate who has taken the Singapore-Cambridge GCE A-Level examination in 2004 or earlier and do not have project work (PW). Will I be at a disadvantage when I apply for admission? I did not pass my Mother Tongue Language at the A-Levels. Can I qualify for admission? 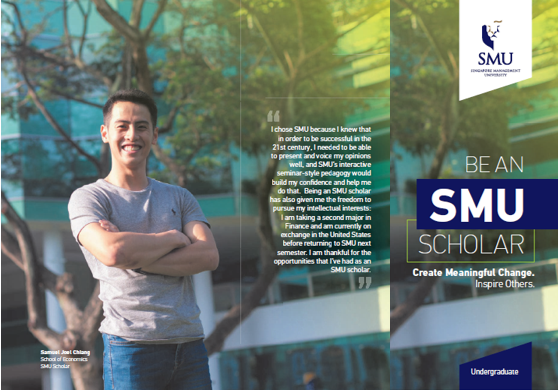 If you meet the other admissions requirements, you will be offered Conditional Admission into SMU. You must fulfill the Mother Tongue requirements before graduating from SMU. I am a Polytechnic graduate. Do I need to have a Certificate of Merit to apply? You do not need to have a Certificate of Merit to apply for admission. You are welcome to apply as long as you satisfy the basic entry requirements. Will applicants applying with a full set of Polytechnic results have an advantage over the final semester Poly students who apply using their five semester results? Both groups will not be disadvantaged. Final year students are required to submit their final semester results immediately when available. Does SMU accept any type of Polytechnic Diploma for the purpose of admission? For the purpose of admission, SMU will consider acceptable polytechnic diplomas (except Advanced Diplomas/Specialist Diplomas/Certificate Courses) from the 5 Polytechnic institutions in Singapore (Nanyang Polytechnic, Ngee Ann Polyechnic, Singapore Polytechnic, Republic Polytechnic and Temasek Polytechnic). Such diplomas are typically done on a full-time basis over three years. I do not have GCE O-Level qualifications prior to my Diploma from the local Polytechnics. Can I apply for admission? Yes, you can apply for admission, even if you do not have any GCE O-Level qualifications. I am currently serving my National Service (NS). May I still apply? Yes, you should apply for admission. If your application is successful and you intend to accept SMU offer, a place will be reserved for you until you have completed your National Service. Is there an early intake for returning NSmen? Yes, there is an early intake for NSmen that is held during the Special Term that commences in April. NSmen who have reserved their places in SMU are eligible to enroll in this Special Term provided that they have matriculated prior to the start of the Special Term. Will returning NSmen attending the Special Term classes be able to graduate one semester earlier? This depends on the number of modules taken per semester. There is no guarantee that you can graduate early. How many years can NSmen be reserved a place at SMU? NSmen are reserved a place for the period of their national service stint. Offers that are not accepted upon completion of national service will be deemed to have lapsed. I will soon be enlisted into NS. How do I check if I have accepted the offer and a place in SMU has been reserved for me? You may check if you have accepted the SMU offer via the Applicant's Self Service platform. We will not send any confirmation letter or email. I have accepted an offer from SMU. As I will be serving my NS, what should I do next? No further action is required from you until the completion of your NS. SMU will contact you (via email/letter) in your year of admission on matriculation/enrolment procedures. Can I change programme during my NS? I wish to disrupt my NS and join the school term in August. What should I do? Please provide the documentary evidence from your unit that you are able to disrupt your NS. You may submit your supporting documents via email to admissions@smu.edu.sg. I will be sitting for my IB Diploma examinations in May 2019. Can I still apply for admission, even though applications have closed? Yes, you may apply by submitting your IB predicted scores, as attested by your school. Self-declared predicted scores will not be accepted. 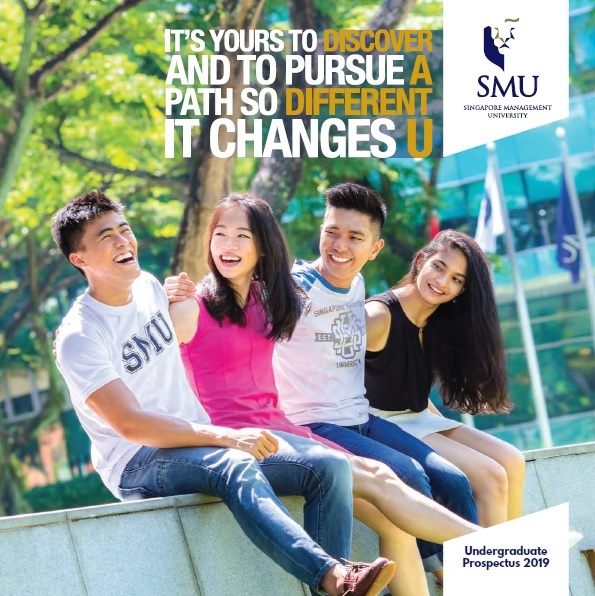 The predicted scores must reach SMU by 31 March 2019 for prospective students applying in the Academic Year 2019-20. Please apply for admission and submit the predicted scores early. Is SAT/ACT/IELTS/TOEFL compulsory for IB applicants? SAT/ACT/IELTS/TOEFL is not compulsory for IB applicants. My final high school results will be released after the admissions application deadline on 19 March 2019. Can I still apply? If your final results are not available at the time of application, you must still submit an application for admissions by 19 March 2019. Please submit your predicted high school results, as attested by your school teacher/counsellor. The predicted results must be submitted by 31 March 2019. You must send in your actual high school results immediately when available. For UK A-Level qualifications, what subject combinations are accepted? We do not have any subject pre-requisites, except for applicants to the Bachelor of Science (Economics) programme, where a good pass in A-Level Mathematics is required.